From casual bloggers to front end designers to back end code ninja’s, we’re here to uncover the best of the best in WordPress based resources to help you grown, learn, and maybe even get rich all while having fun! There are many different resources out there tailored to different people with different focuses and different levels of experience. Though a daunting task that is sure to run over some fingers and toes, we aim to highlight, showcase, and bring to light some awesome reads. In this series, we will provide our first take our first stab at some basic but also some advanced WordPress, Blogging, and plugin books that should be essential repitors within any up-coming WordPress users & developers library. Let it be know, this is only the tip of the iceberg! So let’s get those reading glasses ready and a cup of coffee at hand, and sit down for a good solid reading! You’re a blogger with bloggers block and lacking inspiration. Definitely a good read and practice as after following the 31 steps, you’ll have transformed you blog into a valuable online asset. This book covers WordPress development and design concepts above and beyond version features and provides a foundation for future development as WordPress is updated. Within this book, you’ll find helpful examples, code downloads, and real-world tips from real-world developers, all of which reflect the current needs of developers. Each chapter has been reworked to provide the most up-to-date and correct methods for developing and designing in WordPress. 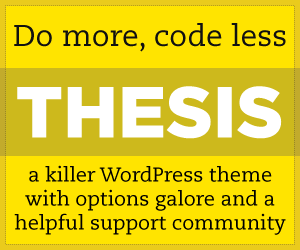 This essential resource provides you with all you need to deploy successful WordPress sites. The author, Jesse Friedman introduces you to the system and its uses systemically and in a balanced way. A solid resource for anyone looking to jump into WordPress for your business or blog, or even just looking to expand your skill-set as a designer or developer. Ideal for the visual learner, Teach Yourself VISUALLY WordPress, Second Edition introduces you to the exciting possibilities of the newest version of WordPress and helps you get started, step by step, with creating and setting up a WordPress site. Author and experienced WordPress user Janet Majure shares advice, insight, and best practices for taking full advantage of all that WordPress has to offer. This comprehensive book shows you how plugins work, reviews the tools and APIs available in WordPress, and demonstrates how to extend the functionality of WordPress with plugins.